Welcome to the Belle of Knysna. A spectacular holiday home on the waterfront of Leisure Island. Experience the beauty and tranquillity of sheltered island life at its very best. A relaxing holiday at our luxury island guesthouse puts you right on the water’s edge, with awesome views of one of the most beautiful places in the world – Knysna. The 4 star Knysna Belle rests a mere 15 paces from our safe swimming beach and is one of the island’s special jewels. 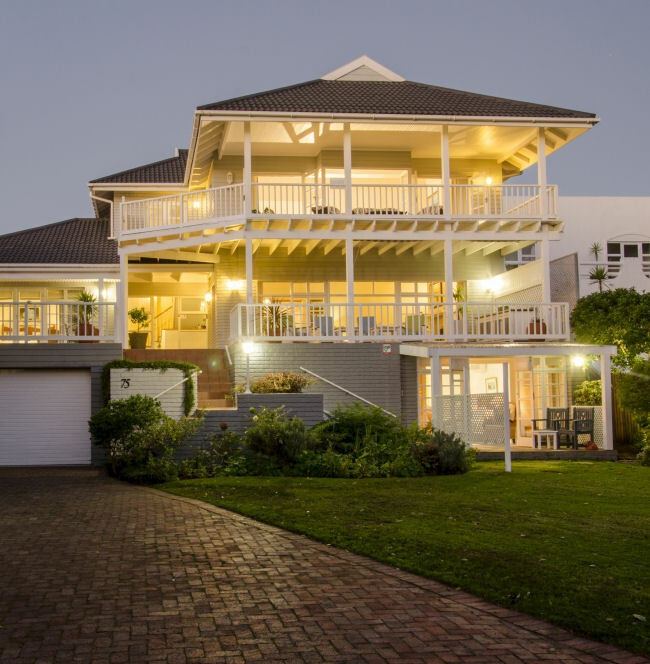 It offers views of the ever-changing Knysna Lagoon, the famous Knysna Heads and the stately Outeniqua Mountains. The private, luxury guesthouse is named after a schooner that regularly visited Knysna during the 1800’s. All our rooms are named after sailing ships with a history of visiting Knysna. But the real treasures of Leisure Isle and Knysna are not buried under the white sands of Bollard Bay Beach. Nor are they hidden beneath the sparkling blue waters of the Indian Ocean that gently caress its shore: they are all around it. Only a few minutes’ drive from the centre of Knysna, the island is connected to the mainland by a causeway, manned by security guards. 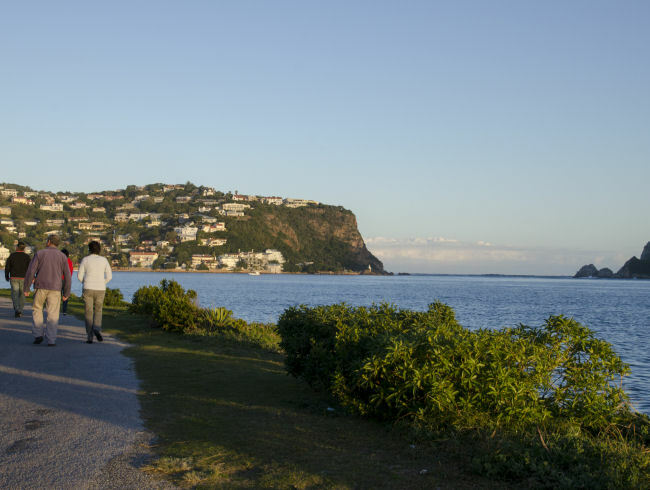 Leisure Isle offers visitors a treasure chest of activities to enjoy while relaxing island style, and the town of Knysna plus the surrounding areas - boast a host of family friendly and adventure activities that promise to entertain and excite. Contact us today to book the island holiday of your dreams. Enjoy the tranquillity and beauty of island life at its best. It is beautifully located at the end of Leisure Isle, right on the water. See our rates and specials on offer.